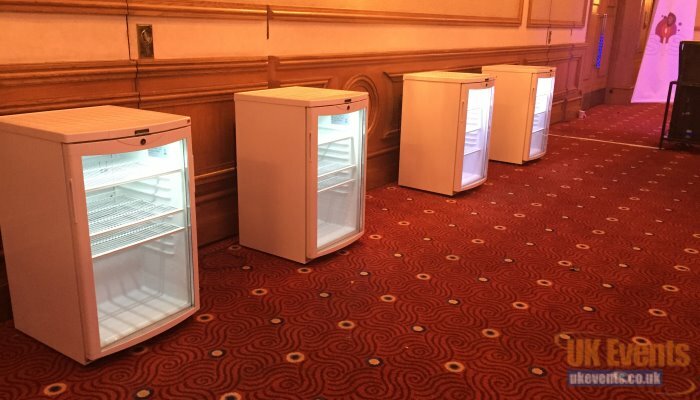 If your fridge or freezer breaks down and you need a temporary replacement, UK Events can hire fridges and freezers for long and short-term periods. We supply glass display units at 3ft and 6ft heights as well as chest freezers. 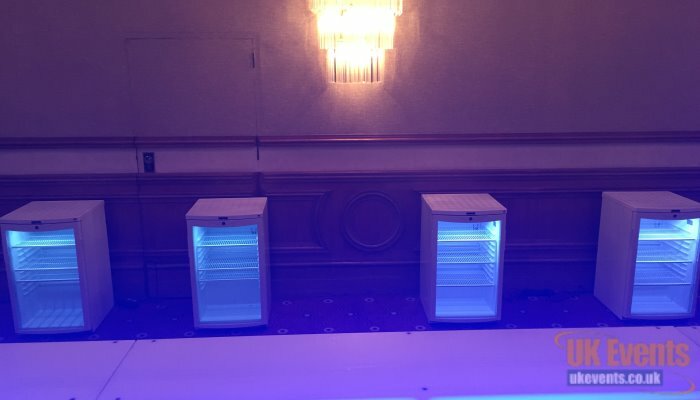 We supply fridges and freezers for all kinds of occasions including exhibitions, kitchen, household parties and any other occasion requiring additional refrigeration. H - 780 W - 506 D - 565 (mm) Temperature Range +6 to +10'c, White/Grey Exterior, Double Glazed Door, Adjustable Shelving, Static Cooling, Interior Light, Temperature Display, 3 Shelves and Static Cooling. Capacity 92 litres/3.24 cu ft.
H - 1840 W - 595 D - 640 (mm) White and Aluminium Door Frame Exterier, White Interier, Interior Light, Digital Temperature Display and Adjustable Temperature and 6 Shelves. Temperature Range -18 to -22 and 10.59 cu ft Capacity. 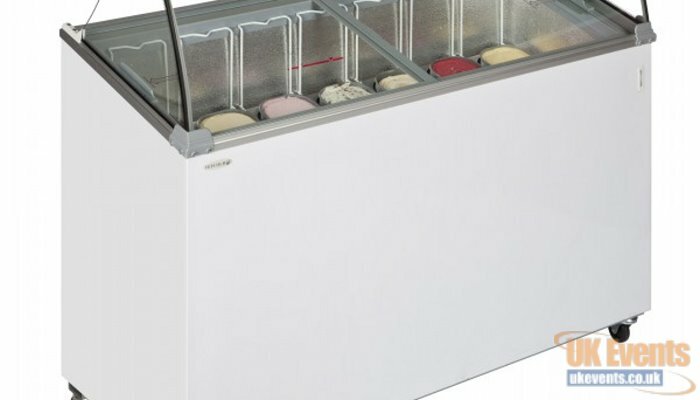 Increase capacity with our under-counter fridge units which are idea for mobiles bars and exhibitions. Long and short terms hires are available on all of our freezer and fridge units.